For almost three decades the troubles in Northern Ireland raged, claiming over 3,600 lives, with civilians accounting for almost half the fatalities. 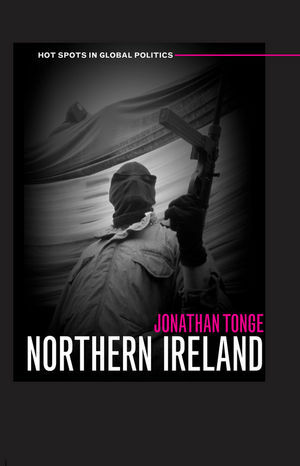 In this book, Jonathan Tonge examines the reasons for that conflict; the motivations of the groups involved and explores the prospects for a post-conflict Northern Ireland. Written by an acknowledged expert in the field, Northern Ireland combines incisive analysis, original research and a lucid style to provide an important assessment of what has been described as an 800 year old problem. 1. Theories of the Conflict. 3. The Overt War Against the IRA. 4. The Covert War Against the IRA. 5. The Politics of Sinn Fein. 8. War by Other Means or the Triumph of Moderation? The Party System. 9. Auditing the Peace and Political Processes. "This is an insightful and scholarly book, which skilfully examines recent changes in the political dynamics of Northern Ireland. The author provides a detailed analysis of the leading protagonists and the key political issues which is thoroughly researched, incisive and thought-provoking. For anyone interested in learning more about why the peace process has stuttered so badly in recent years, this book is a must read." "Jonathan Tonge's knowledge of Northern Ireland is prodigious and his research is painstaking, sharp and detached. He has an eye for the telling comment. This book displays all these qualities. Not only does it audit the status of the peace process but it offers an agenda for moving politics forward. This is a must read for politicians and policy-makers as well as students."